Ace is one of the leading manufacturer of Air Cooled Heat Exchangers. 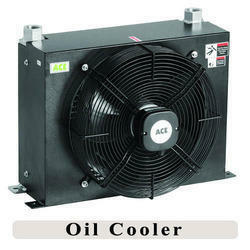 ACE has a wide range of Oil Coolers for Varied Applications. Exal has manufactured and exported large no. 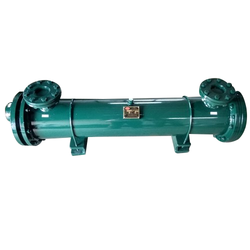 Of oil coolers with shell & tube design. The biggest advantage of exal coolers are their customized design for user defined outlet oil temperature. We provide a wide range of oil cooler and its parts that are best in terms of their durability and performance as well as offered to client’s at the most competitive price. These are Widely used in various parts of automotive parts, these are in high demand by our clients spread worldwide. Being pioneers of the industry, we are offering a quality tested array of Oil Chiller. The Oil Chiller we offer is recommended amongst the clients for its durability and safe use. Besides, we assure our clients that a quality approved array is delivered from our end. Our organization is indulged in offering Transformers Oil Cooler to our clients. These Transformers Oil Coolers are fabricated from high quality of raw material which ensure durability. These products are available in market at most competitive rates.